Stox is the only prediction platform that rewards its users for their wisdom. 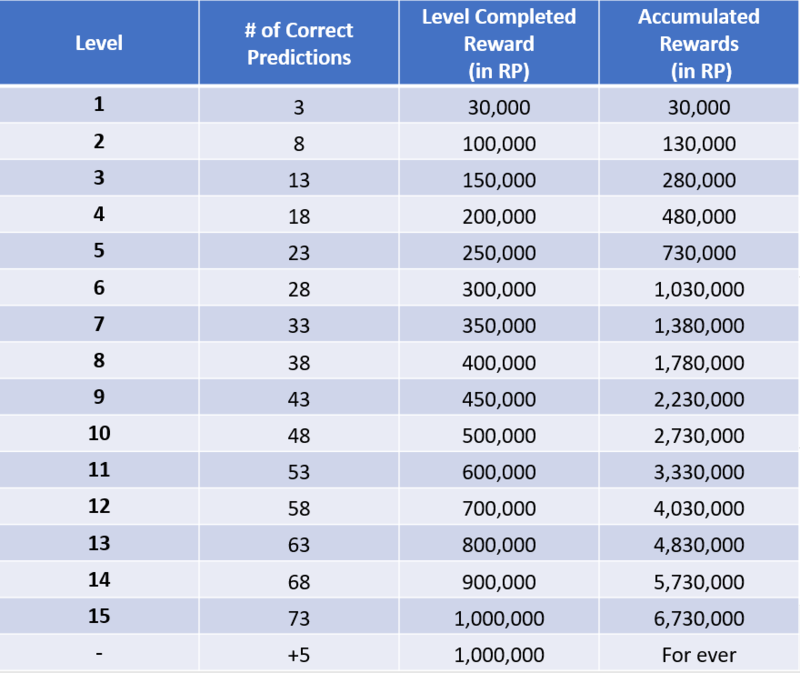 Exclusively for participants in the Monthly Stox Cup Tournament, Stox will award additional Ranking Points (RP) for reaching a given number of correct predictions, above the standard ranking point rewards, at a ratio of 1 STX to 1 RP. These supplementary Ranking Points reward users for their expertise and the more predictions the users gets right, the more points they earn.